Item: CVA 677-601 - A Happy day at "Roslyn," Vancouver, B.C. Statements of responsibility: Photographer location: North Burnaby, B.C. 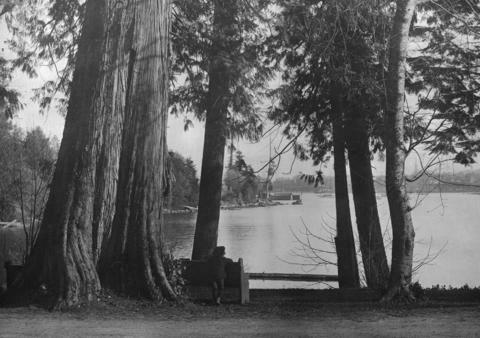 Photograph shows a young boy standing behind a bench, looking across Coal Harbour to Downtown Vancouver. Also available as a vintage print, a copy negative, and two copy prints.